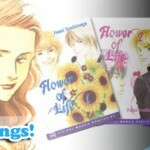 Kuriousity | manga reviews and news » Super Savings: Totally Huge Savings at Totally Manga! Super Savings: Totally Huge Savings at Totally Manga! The good news in this, however, is it that it means huge savings for online buyers. Much to my personal sadness, this sale is for US-buyers only (Edit: shipping options have been updated for Canadian and International buyers) but the deals are too great for me not to share with all Kuriousity’s American readers. This is especially true if you’re a BL fan – Totally Manga a fair variety of titles but predomiantly boys’ love, and notably from the English BL giant Digital Manga, including light novels and out of print titles. Many, many to choose from! The best part? Every single volume is only $5.00/US! Free shipping is also offered on orders over $100. Quantities are limited, of course, so if you’re curious pop over there now and take a look. Buy lots of amazing, shiny books in my place because I can’t okay? Enjoy!